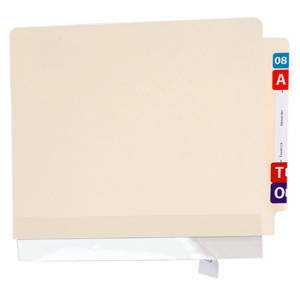 Self-adhesive protectors wrap-around any file folder label, folder end tab or are easily applied to bottom edge of file folders. 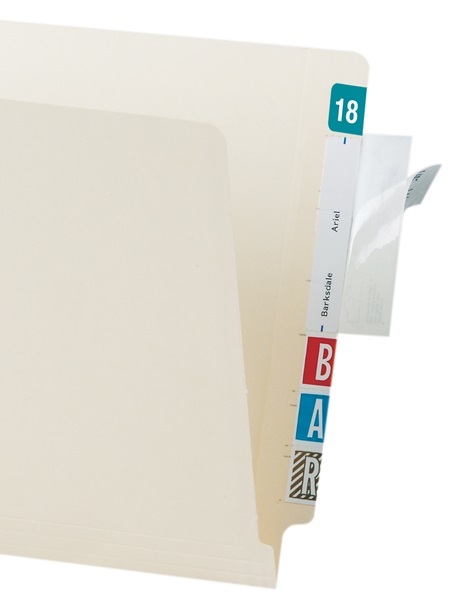 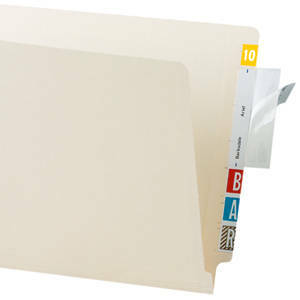 An ideal solutions for extending the life of file folders. 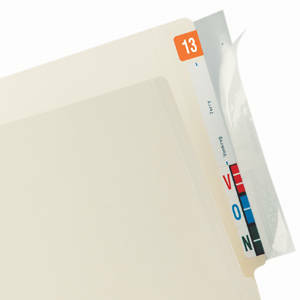 Protectors will prevent cracking/popping off of labels, keeping them clean and secure. 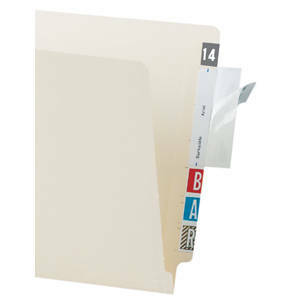 Especially valuable to reinforce end tab and spine edges to prevent wear and tear of heavily used files. Protectors can also be used "flat" to attach miscellaneous materials to any surface.